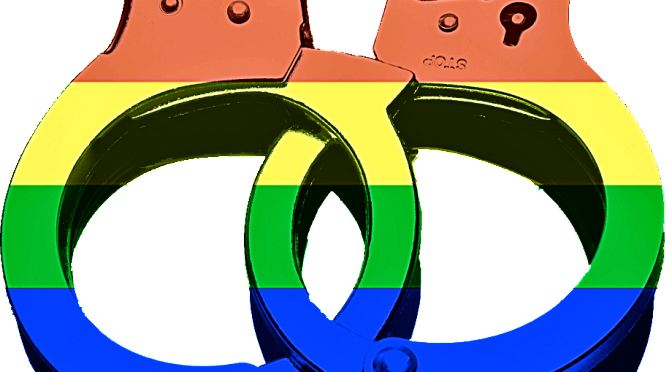 Chicago police reported 52 arrests in connection with the June 28 Chicago Pride Parade. Here are the details on a few of the people who left Pride in handcuffs. Missing here, of course, are the names of the individuals who got away after committing much more serious offenses. No arrests have been made in connection with the three robberies and three stabbings that were reported in our neighborhood that day and night. 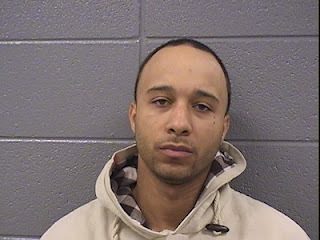 • Steven Haymon, 28, is charged with battery after allegedly running toward and shoulder-butting a 56-year-old Center on Halsted employee during the parade. Haymon, who continues to list the Broadway Youth Center as his home address, has been frequently mentioned on CWB. He served time in prison for a robbery, aggravated battery, and hate crime that unfolded on the Boystown strip in 2010. He claims affiliation with the Maniac Latin Disciples street gang. • David Lindsay, Tyrone Watson, Ricardo Burgos, Timothy Thomas, Tristan Jones, and Janquell Matthews were all charged with reckless conduct following an incident near the parade staging area in Uptown. According to police, the six men engaged in a street fight that caused "numerous citizens, parade participants and attendees to attempt to flee the scene in fear of their safety." Officers executed the arrests after engaging in foot pursuits. Watson, Lindsay, Thomas, Jones, and Matthews all pleaded guilty to reckless conduct and received sentences of one or two days. Burgos, 29, pleaded not guilty. He's due back in court on August 18. • According to court filings, Tomas Oquendo, 26, of Avondale is accused of striking and biting a parade-goer who confronted Oquendo about his allegedly "rude" behavior in the crowd near 4204 Broadway. When police arrived, they found Oquendo and the victim fighting on the ground next to the parade. Oquendo is charged with battery. • Trycia Sanders, 24, of Maywood was charged with reckless conduct after an officer reportedly saw her running in and out of traffic at Belmont and Clark around 10:40PM on parade night. Prosecutors say drivers had to "swerve and brake abruptly, nearly causing a traffic crash." • Darlene Custer, 24, of the Douglas neighborhood is charged with resisting police and battery after she allegedly pushed a police officer and threw a plastic table at another cop who tried to break up a verbal altercation at the Belmont CTA station around 12:20AM on June 29. Police say they had to deploy a Taser in order to subdue Custer. • Kenneth Adams, 70, of Lincoln Park is charged with battery after allegedly punching a man in the chest along the parade route near Diversey and Pine Grove. • Sean Somers, 26, of Lakeview is charged with drinking on the public way and resisting arrest. An officer alleges that Somers was stopped for drinking "a red cup of vodka and tonic on the public street" at Roscoe and Halsted around 8 o'clock on Pride Sunday. The officer claims that Somers fled down the 700 block of Roscoe, then fell, which caused a pursuing officer to also fall and suffer arm injuries. • Franklin Warmowski, 22, of Lakeview is charged with reckless conduct after police officers reportedly saw him jumping on top of a taxi cab that was stuck in traffic at Halsted and Buckingham around 11:30PM on parade night. When Warmowski saw police approaching, he allegedly "fled on foot, knocking over citizens as he ran." He was caught after he tripped over a short landscaping fence in the 800 block of Buckingham. Warmowski was treated at Thorek Hospital for chin injuries that he suffered in his fall.